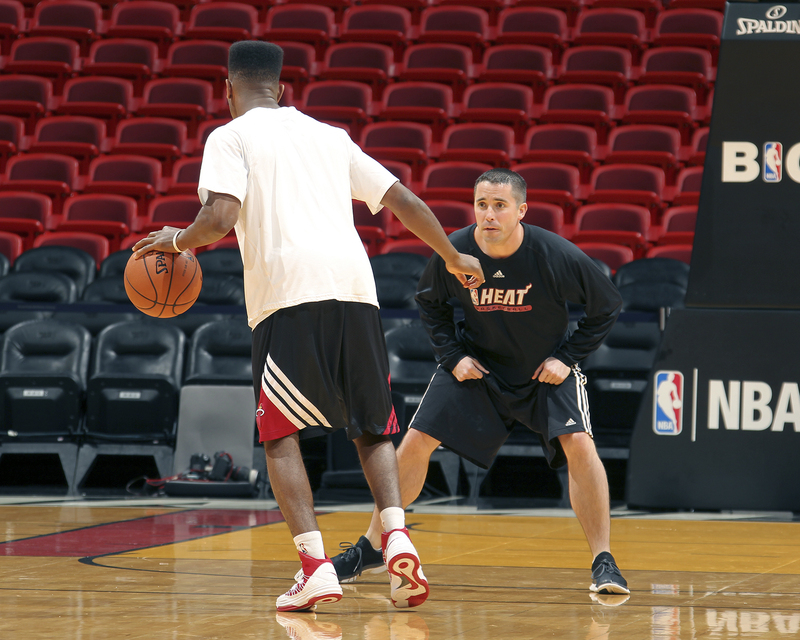 Dan Craig '03 working out the Heat's Norris Cole at the American Airlines Arena in Miami. Isaac Baldizon, NBA Photos. Surrounded by computer servers and Apple laptops in a red-carpeted lab between the players’ locker room and the court, Dan Craig ’03 represents one of the emerging twenty-first-century power centers in professional basketball: he’s the video coordinator and assistant coach for the defending champion Miami Heat. Utilizing multiple camera angles and sophisticated editing software, he creates fast, bite-sized visual narratives out of players’ tendencies and strengths and weaknesses—on-demand scouting and coaching tools that take the limited perspective of the bench to another dimension. Jim Collins, former editor of Yankee Magazine and author of The Last Best League, is a freelance writer living in Orange, NH.